I like Italian restaurants as they are so varied. 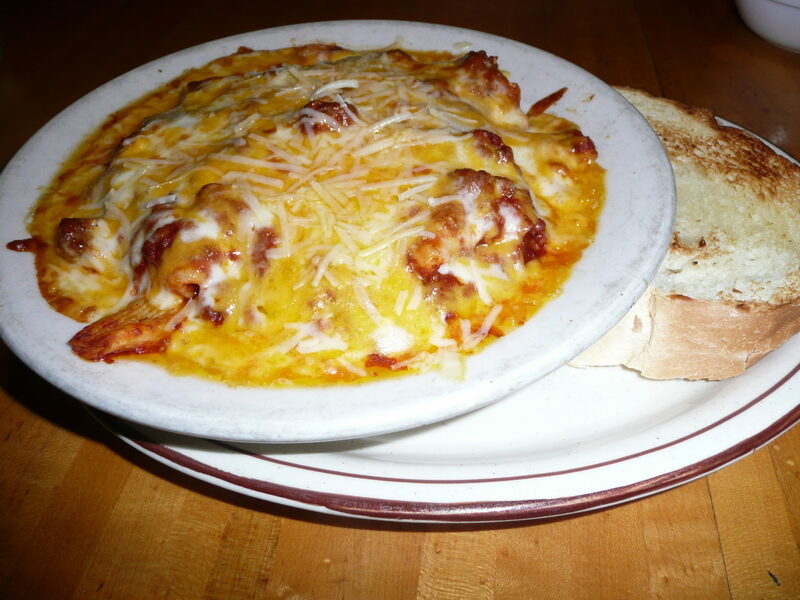 The more homey ones serve lots of food – an entree is enough for two people with a little bit of leftovers to take home. 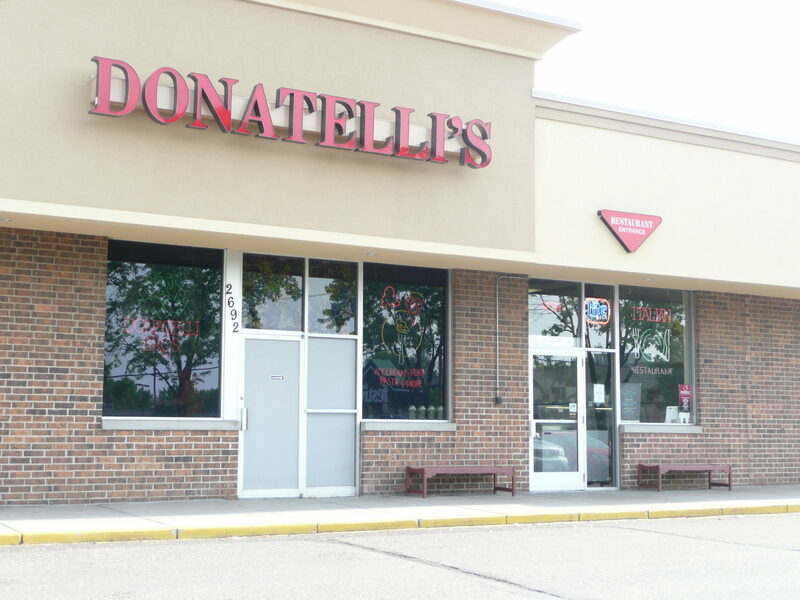 Donatelli’s is in White Bear Lake, Minnesota. The kitchen is located right when you walk in. When we arrived around 5:15 pm, it wasn’t very full but by the time we left the place was bustling with local patrons. 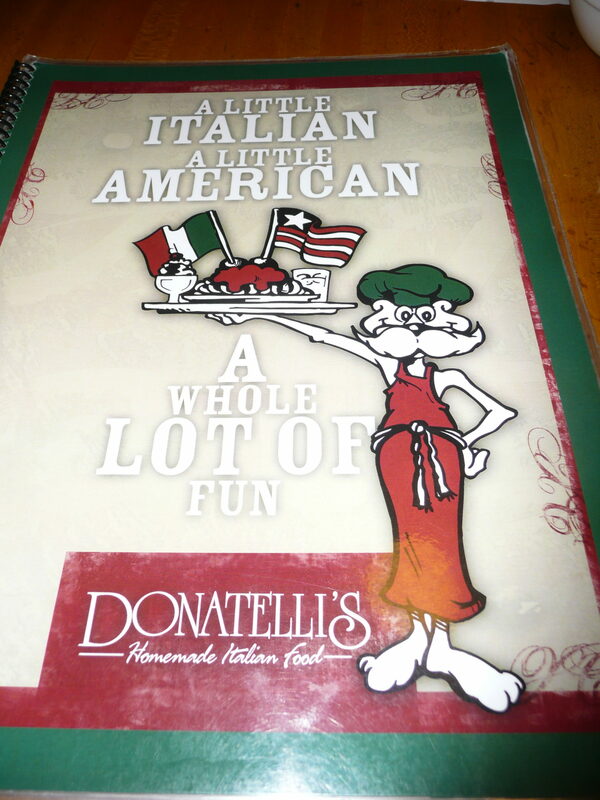 I liked the outside of Donatelli’s menu. 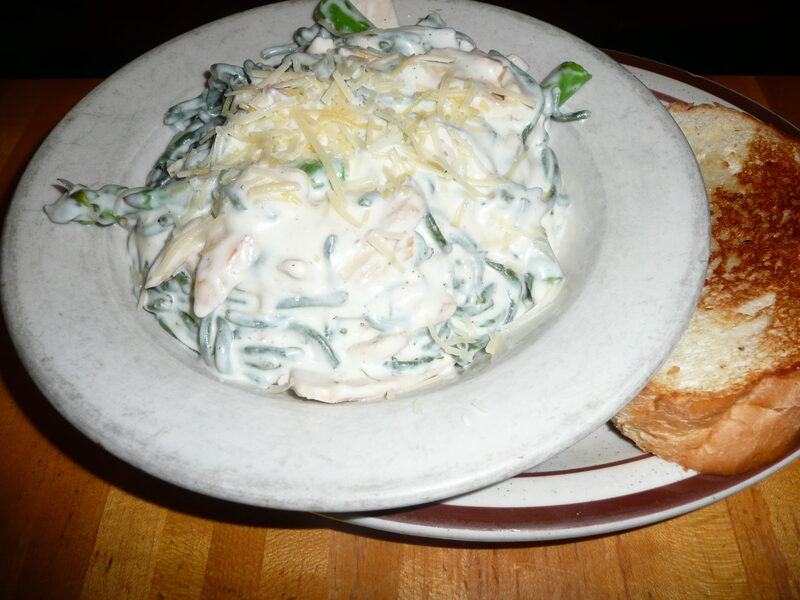 And the meal was good although they really slathered on the sauce for both entrees – baked mostaccioli and spinach noodles with a cream sauce. The garlic bread was delicious! Yum! We’ll have to go back with empty stomachs. The sauces are rich.